In a scathing report issued this week, researchers with the Science Policy Forum have accused the U.S. Defense Advanced Research Projects Agency (DARPA) of creating a technology ostensibly used to genetically modify crops with insects but that could be converted into a dangerous and illegal bioweapon. The current program is being funded by the Pentagon’s darling “research” arm DARPA who last year was found to be spending millions on “genetic extinction technology” that could wipe out entire species. DARPA’s new project, dubbed “Insect Allies” involves releasing fleets of genetically modified insects onto crops which would “infect” plants with a special virus that would genetically modify the plant on location. As Gizmodo points out, if you think this sounds scary, you are not alone. The lead author of the new Science Policy Forum report, Richard Guy Reeves from the Department of Evolutionary Genetics at the Max Planck Institute for Evolutionary Biology, Plön, says the Insect Allies program is a disturbing example of dual-use research in which DARPA, in addition to helping out farmers, is also working on a potential weapon. Naturally, as is the case with all accusations against DARPA when they get caught working on some sadistic planet killing plot, they are denying the accusations, writing them off as mischaracterizations. As Gizmodo explains, the technology at the heart of this research could herald an entirely new way of genetically modifying crops. Instead of having to wait for a plant to pass its newly-acquired traits onto the next generation, genetic changes would be imposed upon living organisms, a process known as horizontal genetic alteration. Hence the technology’s name—Horizontal Environmental Genetic Alteration Agents, or HEGAAs. The viruses will be delivered using genetically modified insects as a means of overcoming the previous limitations to delivering HEGAAs. DARPA plans to release swarms of genetically modified insects like leafhoppers, whiteflies, and aphids, that have been altered using CRISPR, or other gene editing systems. The swarms would be carrying an infectious virus to crops that are already established as a means of genetically modifying them on the spot. Insect Allies was announced in November 2016, and it currently involves research contracts in excess of $27 million. DARPA is funding four teams (not three, as claimed in the report), namely the Boyce Thompson Institute, Ohio State University, Pennsylvania State University, and the University of Texas, Austin. The defence agency maintains that “all work is conducted inside closed laboratories, greenhouses, or other secured facilities,” and that the insects will have built-in lifespans to limit their spread. DARPA is hoping to see tests done in greenhouses in as few as two years, with maize being a high-priority crop. Considering DARPA’s history and their Pentagon funding, scientists are expressing justified concern over the development of this technology. The researchers in this report pull no punches when they claim it may be a cover to develop an offensive bioweapon. Using insects as a means of distributing the viruses is a terrible idea, according to the authors of the report, because they cannot be controlled. The scientist claim that HEGGAs would be far more effective if simply sprayed overhead like most other delivery systems for agriculture. National security can be quickly jeopardized by naturally occurring threats to the crop system, including pathogens, drought, flooding, and frost, but especially by threats introduced by state or non-state actors. Insect Allies seeks to mitigate the impact of these incursions by applying targeted therapies to mature plants with effects that are expressed at relevant timescales—namely, within a single growing season. 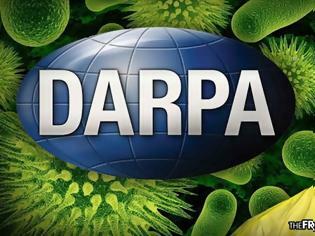 Jason Delborne, an Associate Professor at North Carolina State University, an expert in genetic engineering and its potential environmental, economic, and social consequences, says the concerns over the current DARPA research seem “appropriate,” according to Gizmodo. Indeed, when the people who are exempted from most all federal regulations begin modifying swarms of insects to infect crops with viruses which would genetically modify them on the spot—and refer to this as national defense—it may be time to start paying attention. Πράγματα που θα σας συμβούν μόλις αποφασίσετε να βάλετε όρια. DARPA: Drones που θα κινούνται τηλεπαθητικά! H DARPA εισβάλλει στον τομέα της Α.Ι. Τραγικός απολογισμός: 259 θάνατοι λόγω... selfie!